If you’ve ever existed on Google, you’ve probably heard of Search Engine Optimization or SEO. It’s that magical science that helps the most relevant pages find themselves to the top of Google when you type in a search looking for something. Without it, we could very well search for ‘pictures of puppies’ and end up seeing pictures of kittens instead – cue the apocalyptic fallout. Outside of blogs, articles, and onsite content, videos, especially YouTube videos, frequently find themselves ranking among the top of Google’s search listings. In fact, YouTube SEO is its own entity altogether. But how is that possible, since videos don’t have hundreds of written keywords for Google to pick up on like a blog or article? That’s because of YouTube SEO, which helps make videos just as active and any other form of online content. We’re going to take a look at YouTube’s enormous reach on the internet, how YouTube videos end up ranking for certain searches online, and how to implement this into your own original content. YouTube’s reach is massive and makes up for a huge portion of the internet. When working with YouTube SEO, keep these numbers and statistics in mind. YouTube has over one billion users – that’s nearly one-third of the entire internet. 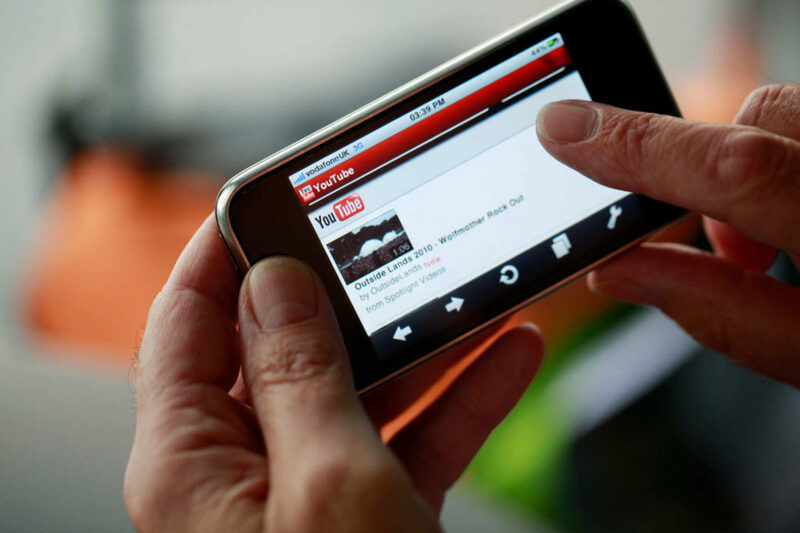 On mobile devices alone, YouTube reaches more people in the age range of 18-34 than any TV network in existence. YouTube is localized in 88 countries and is accessible in 76 languages. Every day on YouTube, over one billion hours of content are watched, which is generated into billions of views. Over 100 hours of video are uploaded to YouTube every minute. There are two major ways that YouTube decides to rank videos: Video Content and User Engagement. Whether you’re new to YouTube SEO or a seasoned veteran, it’s important to take advantage of all the pieces of content YouTube offers its users to help their videos rank above others. Much of the science is in using keywords, or the words and terms people are searching for to get attention. This is how YouTube finds the content people are searching for. Title: An obvious answer, the title of your video is the most direct way to have your keywords seen and picked up by YouTube. This element is a large factor in a video’s click-through rate (CTR). Description: The description section of your video is what Google and YouTube search uses to pick up on your video. This is where you can describe what your video is about and link to other relevant pages and videos. Tags: With tags, make sure you choose keywords you want your video to rank for and add them here. Make sure you add at least 10 tags to your video – the more the merrier. Transcription: When YouTube transcribes a video, it indexes that transcription and makes it a factor in ranking your video. This helps boost your keyword authority. Closed Caption: Taking advantage of having a closed caption on a video can actually indirectly increase a video’s CTR and help it rank even higher. Channel Authority: This holds quite a bit of weight to YouTube SEO. Channel authority looks into all of a channel’s content to see how much of it is optimized, how frequent it publishes videos, whether or not tags are relevant to each of the videos, etc. It’s basically saying – how credible is the channel that’s posting it? If the channel has an extremely good track record, YouTube and Google will trust the video over others. Content Delivery: If you were under the assumption that successful YouTube videos have some sort of ‘X-Factor’ that makes them popular, then this would be it. Content Delivery looks beyond everything we just mentioned and is dedicated to providing users with the best videos, regardless of keywords, tags, and everything else previously mentioned. This is for people who know a lot about a subject and make a very helpful YouTube video about it, but they don’t know anything about how to get the video to rank on YouTube. At the other end of the YouTube SEO spectrum, there’s User Engagement, which, in a nutshell, is how well the video is doing publicly among viewers. Several factors help the videos to move up the ranks in YouTube and Google searches. Views: No surprise here, the number of views a video has helps it in searches. Thumbs Up, Thumbs Down & Favorites: Similar to the Facebook ‘Like’ button, ‘thumbs up’ on a video shows positive User Engagement and will help a video soar. 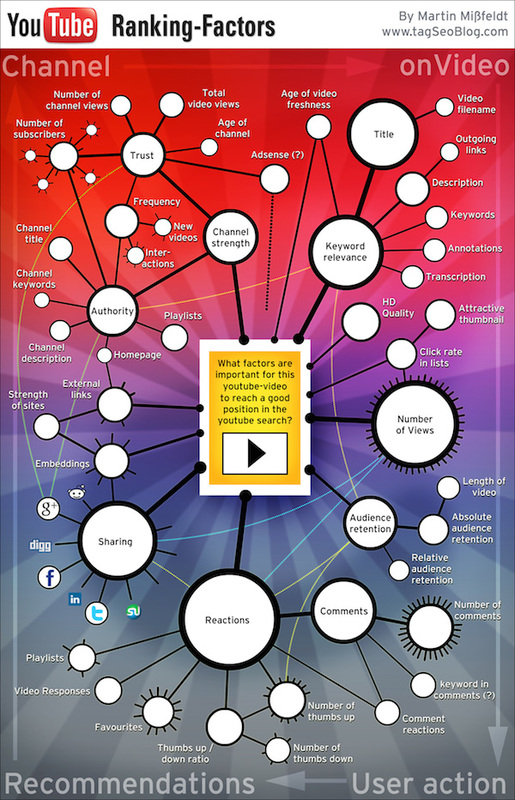 Similarly, when users favorite the video that helps show that it is very useful content. Inbound Links: ‘Inbound Links,’ or those little pop-ups for other videos while the current video is playing, help to boost video popularity. Add them to other videos and videos on your channel to gain more overall channel authority. Social Shares: With over a dozen links to share a video on other social platforms, seeing that a video is being shared from YouTube to Facebook, LinkedIn, Reddit, etc. is a positive User Engagement Factor for YouTube. Embeds: When someone wants to take a video and put it on their website, the Embed video code is what they use when building the page. Though this takes the video outside the bounds of YouTube, YouTube can still track this and use it as a positive engagement signal. Comments & Responses: Arguably the most powerful factor when it comes to YouTube SEO and User Engagement, comments and responses to a video give a huge relevance to a video’s weight and signifies lots of channel authority as well. While there are many ways to pull traffic into a YouTube video, taking the necessary steps to make sure a YouTube video is properly optimized is key to the video’s overall success. In the ever-growing digital and communicative era, many internet users prefer to watch a quick video as opposed to reading a long article in an effort to save time. By using proper YouTube SEO, you can find yourself on the top of the internet with just a smartphone and an idea.